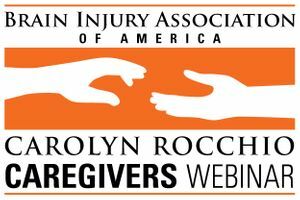 A Carolyn Rocchio Caregivers recorded webinar featuring Angelle M. Sander, Ph.D., Director of TIRR Memorial Hermann’s Brain Injury Research Center and Senior Scientist on the TIRR Research Council. Aired live November 8, 2018. This presentation discusses the common difficulties faced by caregivers of persons with traumatic brain injury (TBI). Dr. Sander describes how a mindful approach can be used to help manage stress and set goals for daily living that are reasonable within the limits of each unique caregiving situation. To receive 1 ACBIS CEU, please select "CD/Handout Package, CBIS/T Rate (Includes 1 CEU)" or "Recorded Webinar - Download Now! (Includes 1 CEU)" from the drop-down menu. Please note: CD will not be available to ship until November 2018.